Nine will air a new travel series from Australian Geographic, Best of Australia, from Friday December 21. The series, to be hosted by Sorrel Wilby will showcase WA’s Adventure Coast, the Great Ocean Road in Victoria, Gondwana rainforests in New South Wales, Kakadu and Arnhemland in the Northern Territory, and outback Queensland . “We live in a remarkable country of contrasts and wild frontiers, and as each episode unfolds you’ll understand why they represent the best of Australia,” says Wilby. Join Australian Geographic’s Sorrel Wilby on a journey of spectacular beauty as she presents the Best Of Australia documentary travel series, starting Friday, December 21 at 7.30pm on Nine. 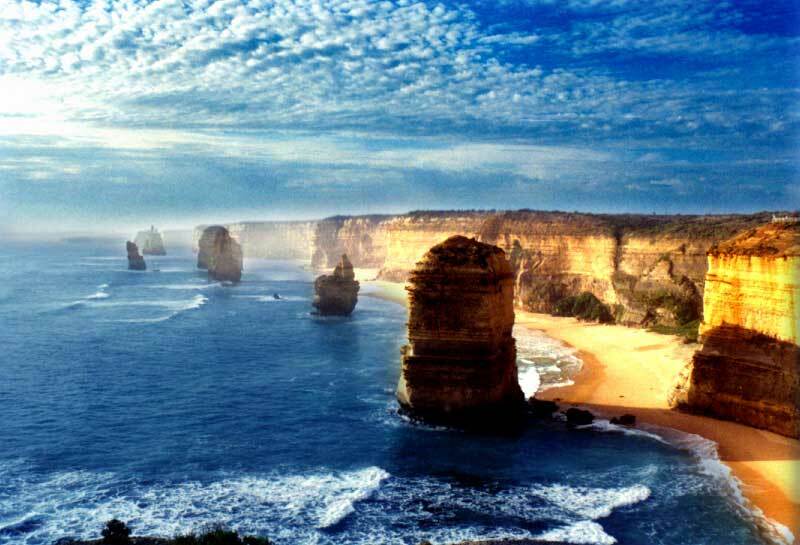 Best Of Australia is a passport to adventure that will give you a front-row seat and backstage pass to some of the most amazing locations right in our own backyard. Each episode will highlight the natural wonder and celebrated landscapes of a different State, beginning with WA’s Adventure Coast, the Great Ocean Road in Victoria, Gondwana rainforests in New South Wales, Kakadu and Arnhemland in the Northern Territory, and outback Queensland . “We live in a remarkable country of contrasts and wild frontiers, and as each episode unfolds you’ll understand why they represent the best of Australia ,” says Wilby, producer and presenter of the series. The series also explores wonderfully different travel options, from discovering the Dreamtime with traditional custodians to swimming with whale sharks off Ningaloo reef in WA, tackling the Great Ocean Walk, playing golf with kangaroos, and trying to strike it rich in an opal mine. Best Of Australia paints an intimate portrait of our natural and cultural landscape, featuring insights from indigenous elders, leading ecologists and young researchers working in the field to everyday Australians expressing what they love about the country through their art and humour. Go wild, be inspired, climb the mountains, dive into the oceans, walk this amazing land and discover Best Of Australia from Friday, December 21 at 7.30pm on Channel Nine. This series was released on DVD’s that accompanied several issues of Australian Geographic magazine. Although it was presented in WS it is questionable if it was filmed in HD as well. If 9 is serious about HD, then this is the type of show that should be presented in this format. Unless of course, it is bits of other shows cobbled together.